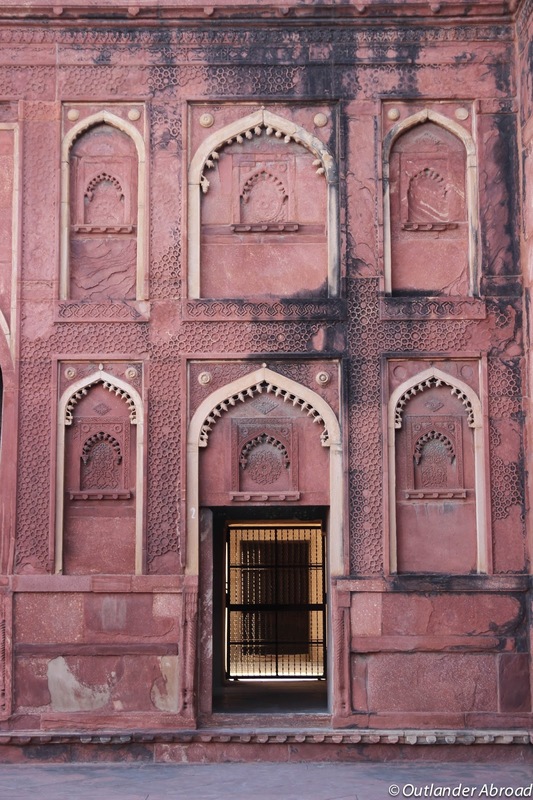 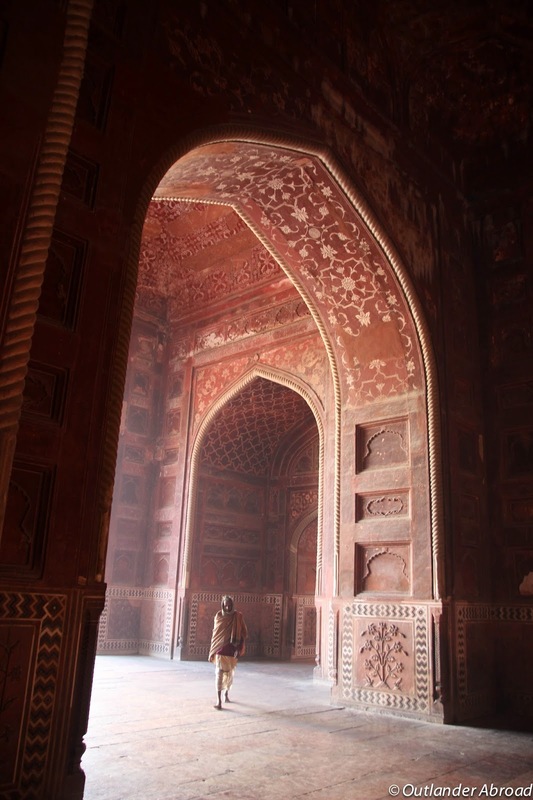 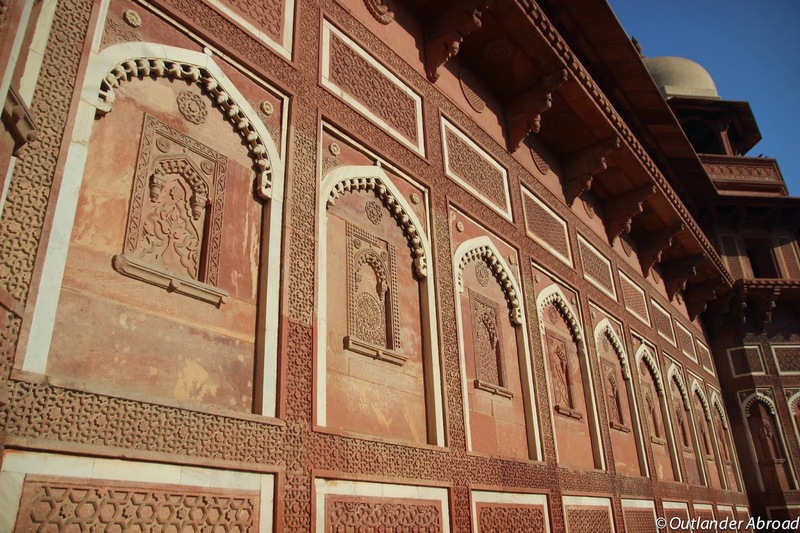 Upon arriving in Agra, we visited the stunning Agra Fort, built of red sandstone and white marble, with excellent views of the Taj Mahal, as the sultan wanted to be able to watch its progress as it was built. 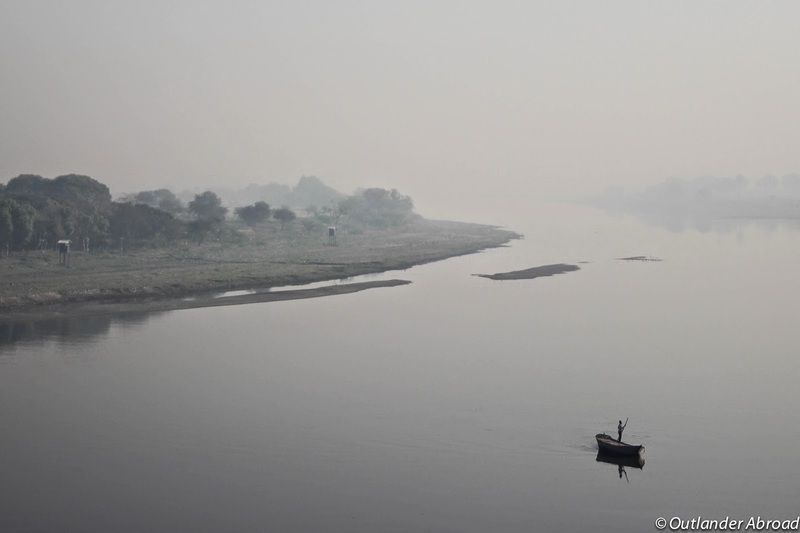 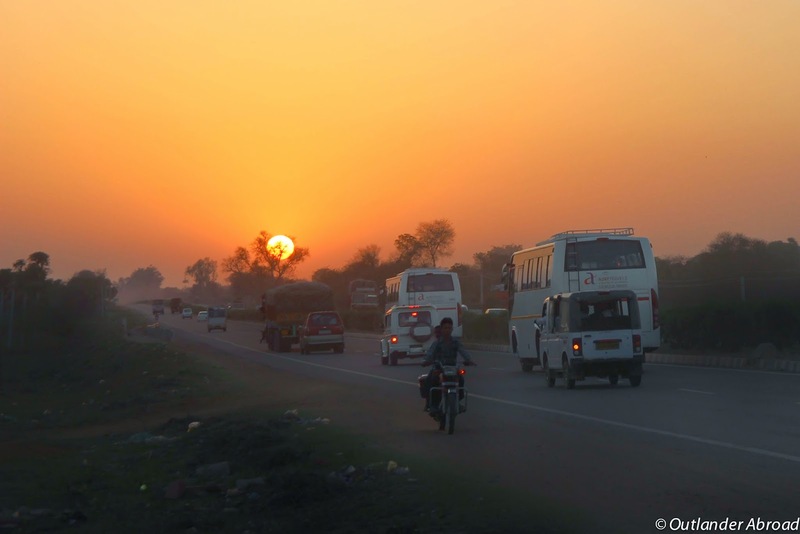 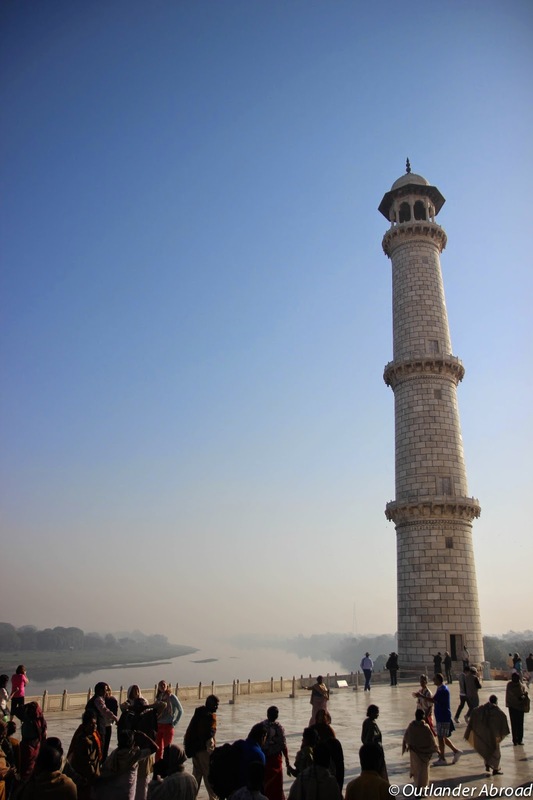 We also drove through a tiny community to view the Taj Mahal at sunset from across the river. 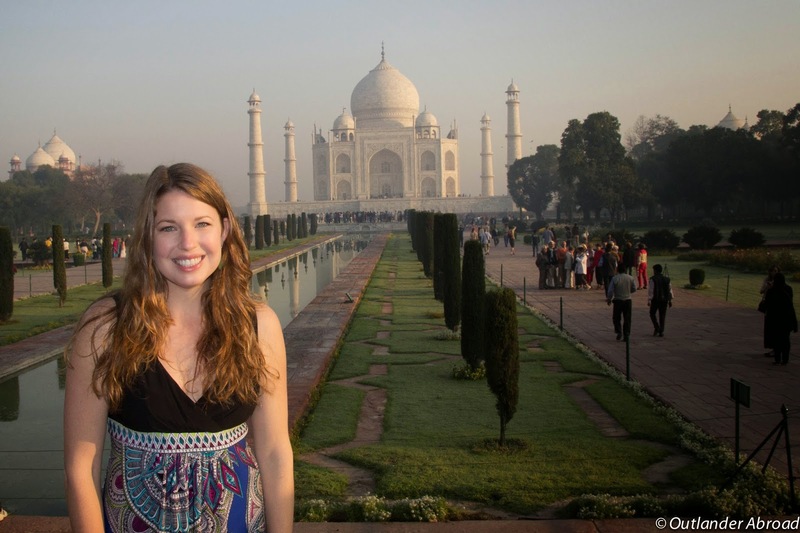 As a westerner, it's a bit stunning that this gorgeous view of a Wonder of the World is not only completely undeveloped to tourism, but is an impoverished neighborhood. 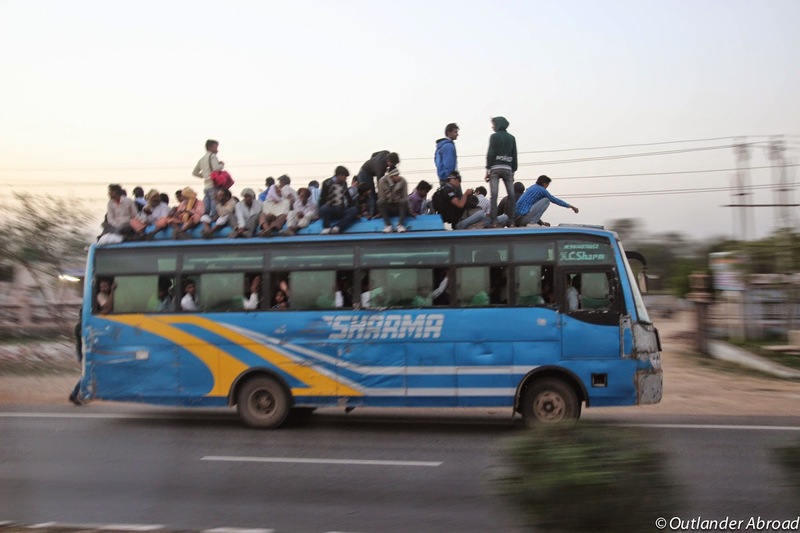 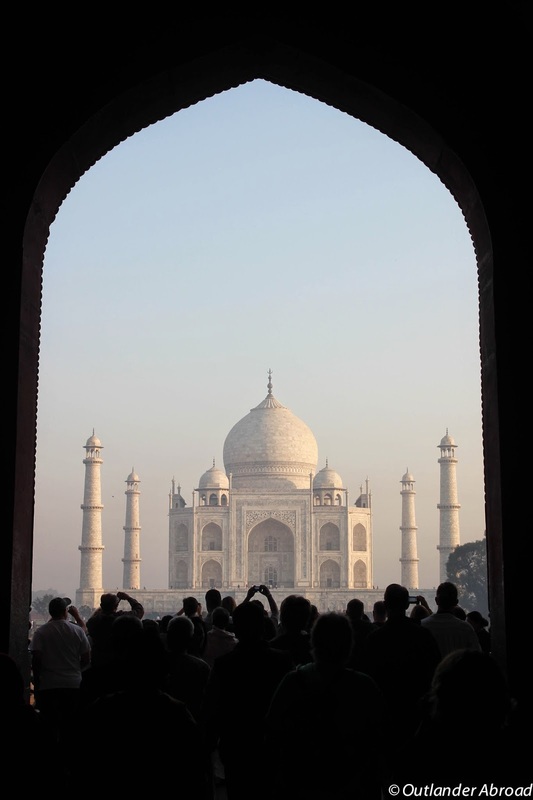 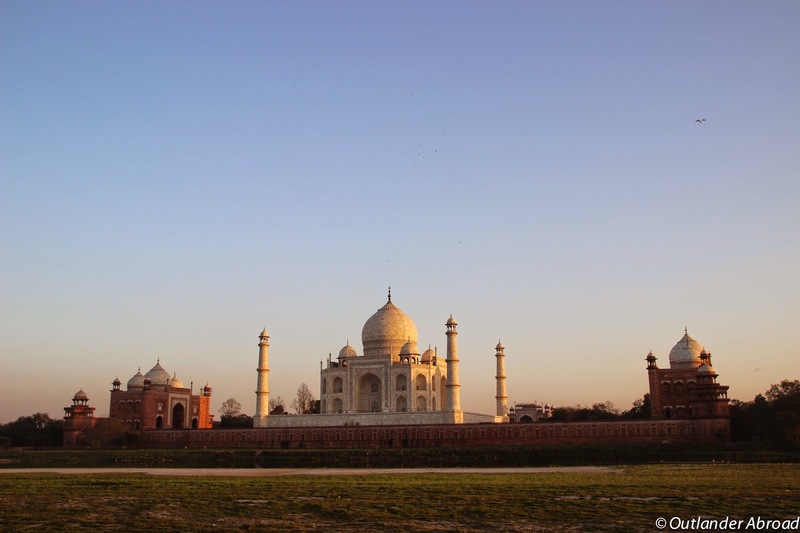 We queued up at sunrise the next morning with hundreds of other tourists to view the unequaled Taj Mahal. 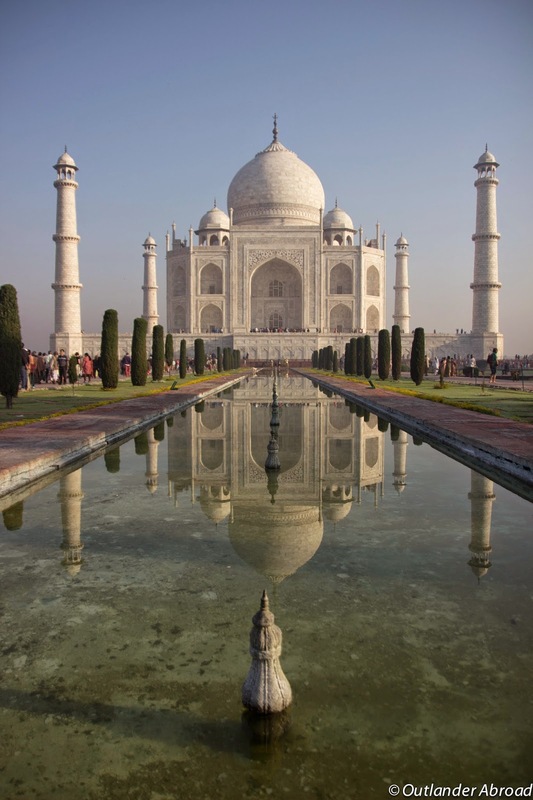 Passing through the sandstone and marble inner gate, we were greeted with the magnificent view of the mausoleum from across the reflecting pools. 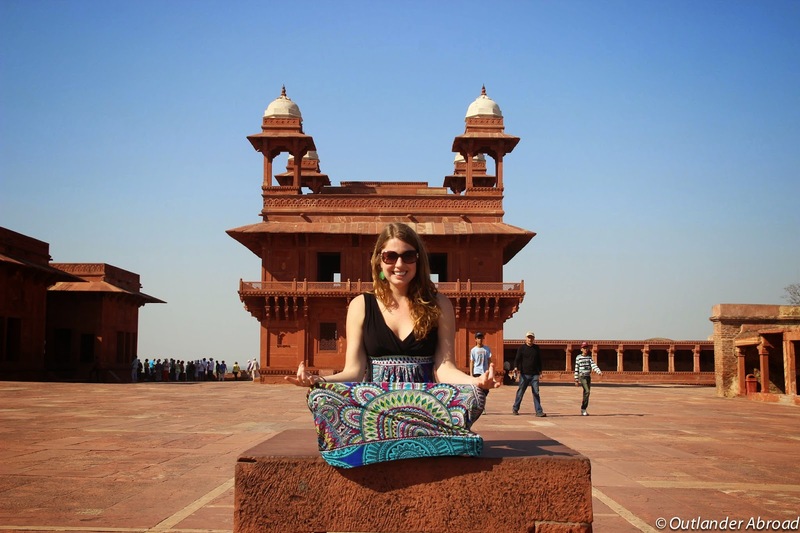 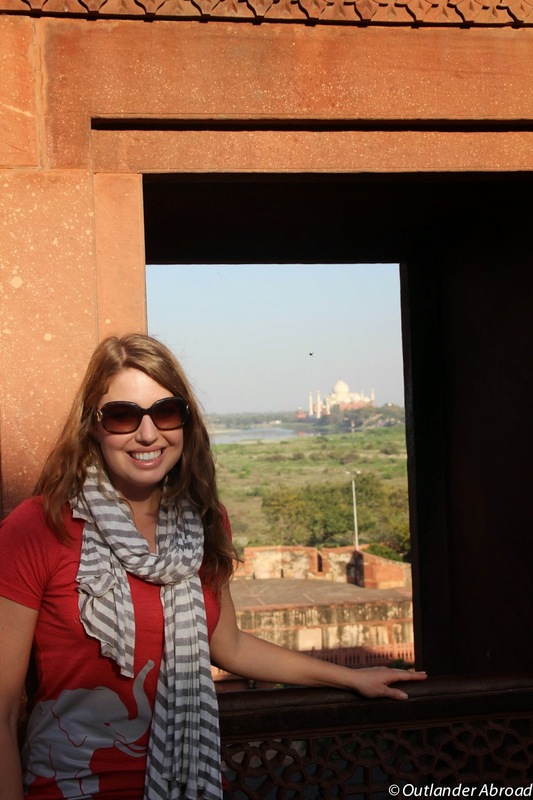 After spending the morning at the Taj Mahal, we stopped by Fatehpur Sikri on our way out of Agra. 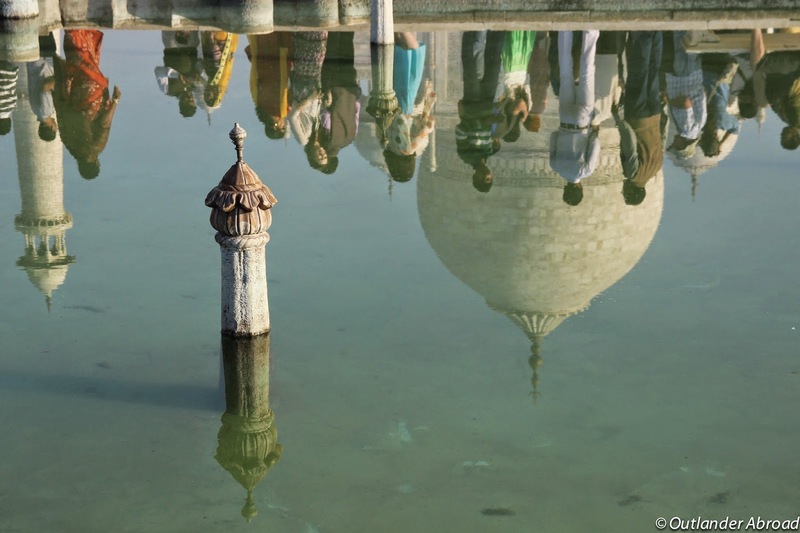 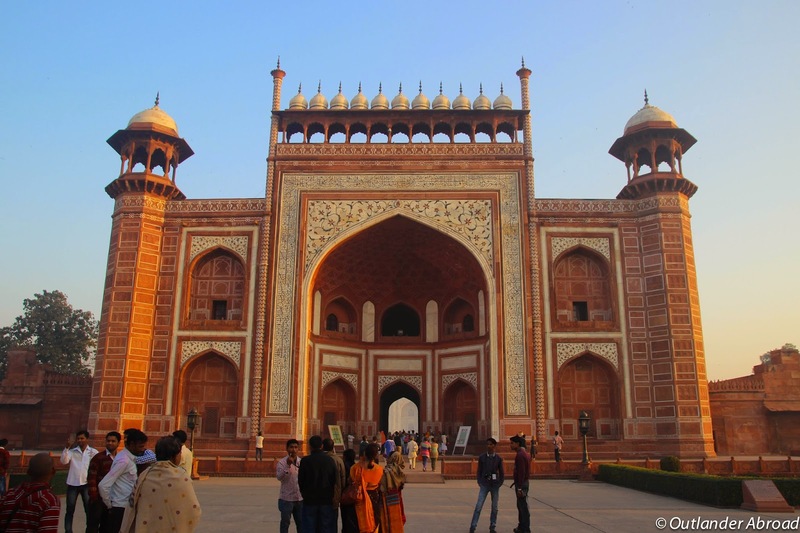 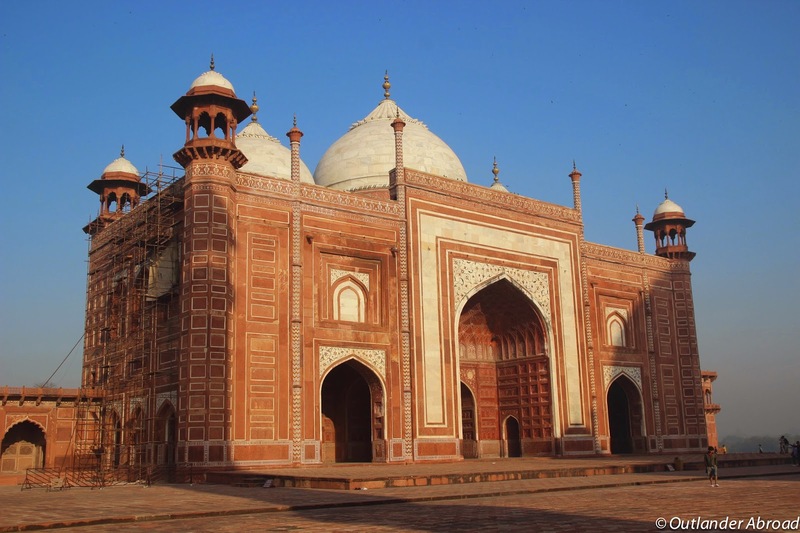 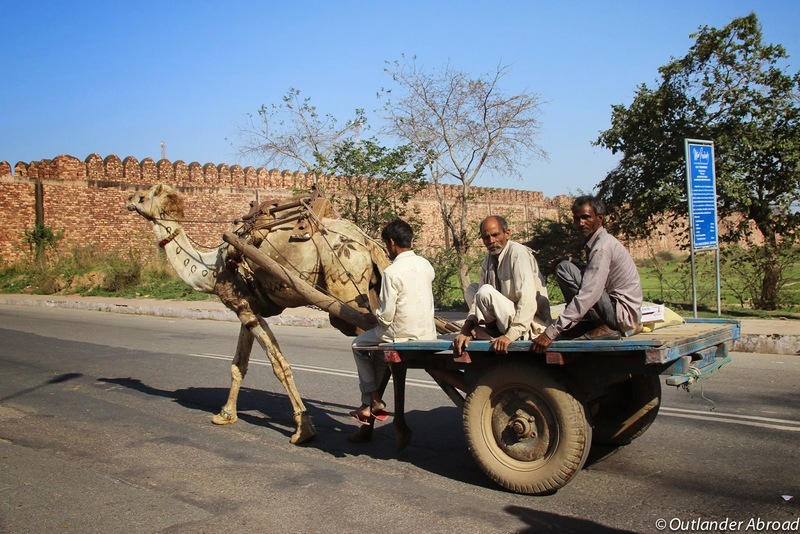 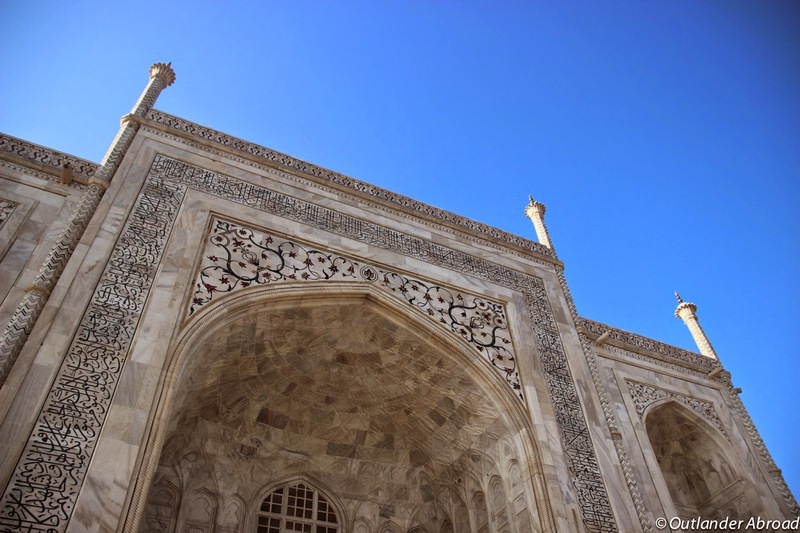 Built by Emporer Akbar, it served as the capital of the Mughal Empire in the late 16th century. 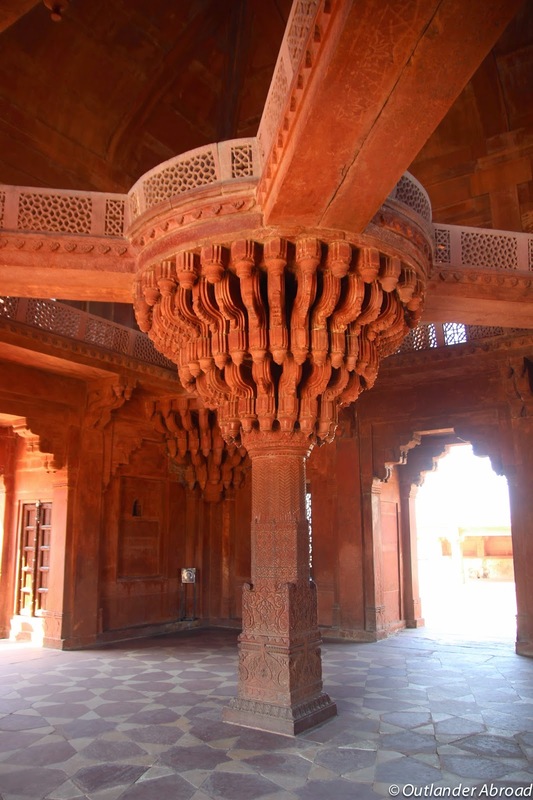 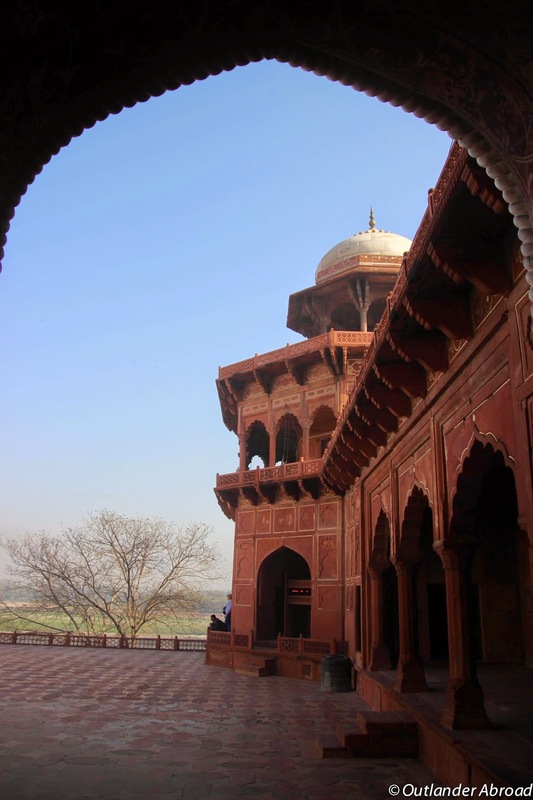 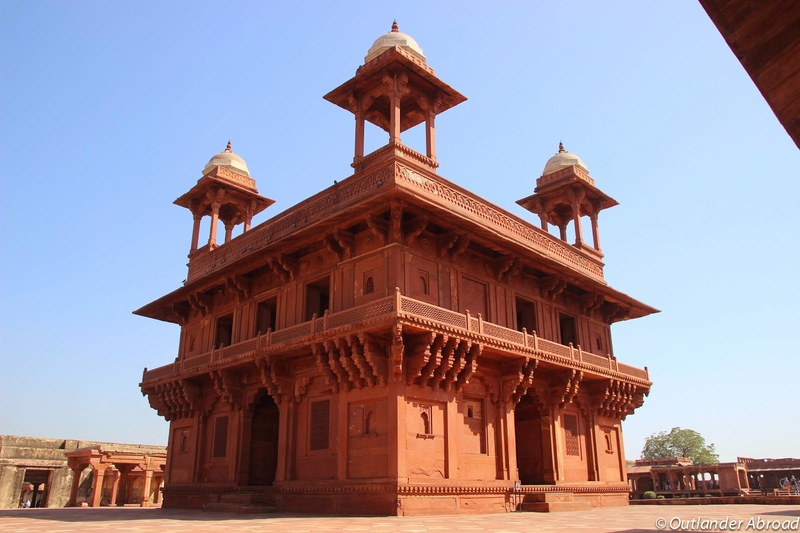 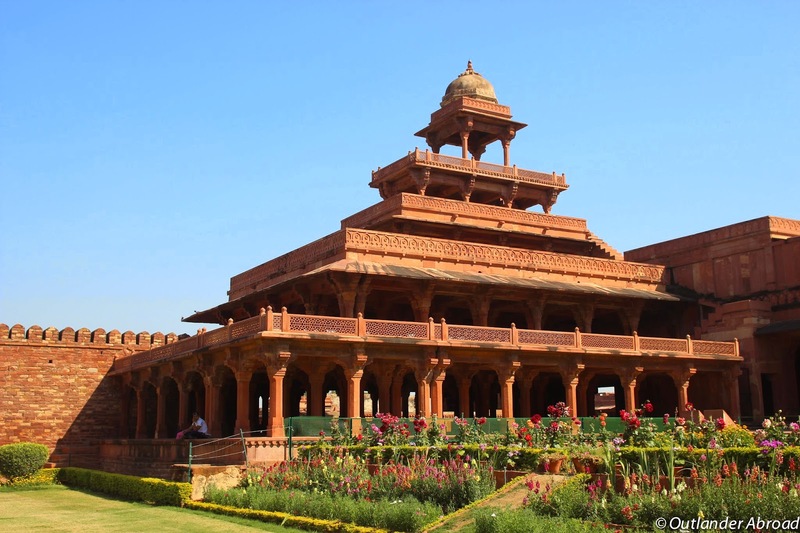 The structures were almost entirely red sandstone, with intricate, unique designs. 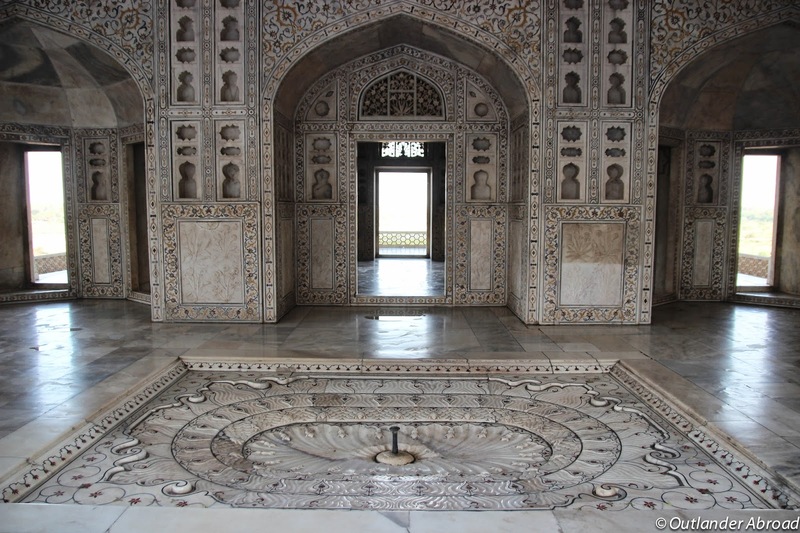 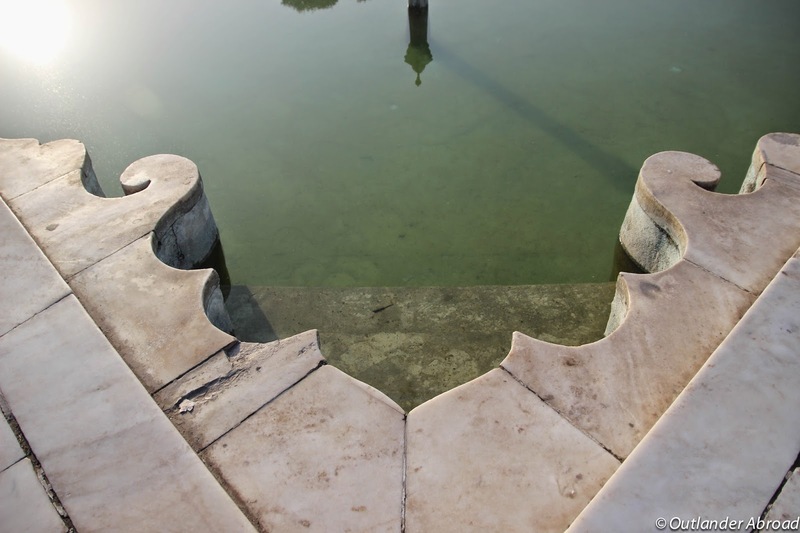 This first photo shows the seat where Akbar held court, sitting high above the people to preside over requests. 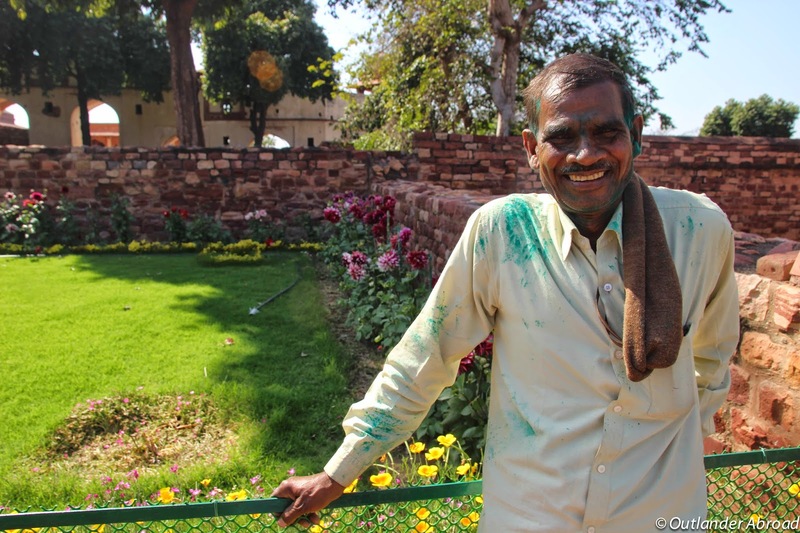 The gardener of the site, decorated with a bit of green dust from an early celebration of Holi. 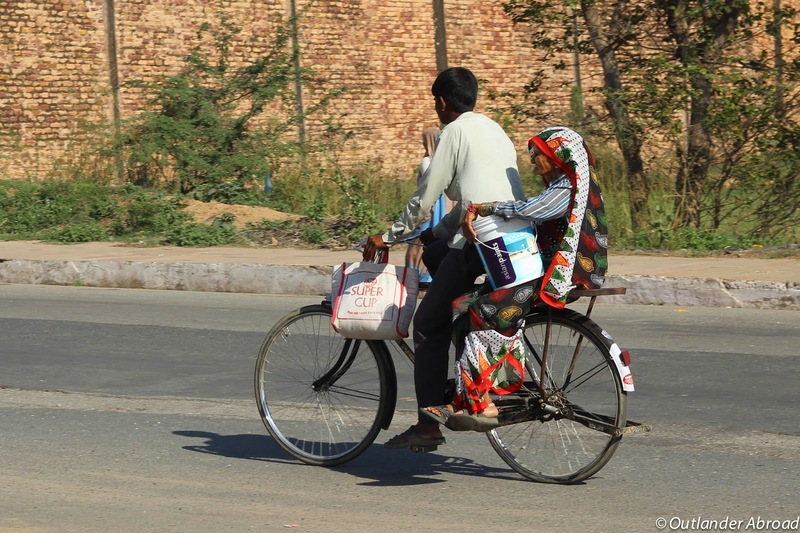 Of course, we had to pose for a few photos.